Try Sookie for the Summer! One of the most beloved — and now famous! — of today’s mystery authors is Charlaine Harris. Know by long-time fans for her Aurora Teagarden traditional mysteries, her amateur sleuth Shakespeare, Arkansas-based Lily Bard mysteries, her the NYT best-selling Sookie Stackhouse series is coming to a close. The second-to-last book in the Sookie series was just been released in May, which brought the thought that this would be a great time to catch up with the series — possibly from Book 1 to Book 12 — before the series ends with Dead Ever After in 2013. With that goal in mind, the graphic list below of all the books in the series (and some fun related ones) is a link to the Lisle Library collection of these books. Let us know if you decide to read Sookie this summer! 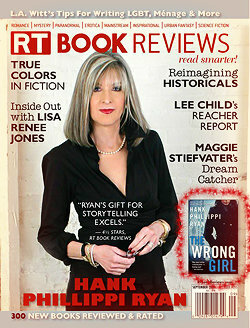 The Author Dockets Page has been updated with the new Author Docket: On Sue Grafton! When you open the link on the Author Dockets page, check out the group book discussion summary, A is for Alibi‘s Cast of Characters, links to Fantastic Fiction’s page on Sue, and Sue’s own website among other things!More links to be added there soon — and our book discussion summary from this week’s session with Kent coming soon too. Following up on last night’s great meeting — there were folks who wanted to know more about Kent’s upcoming visit to the Chicago area in October — and Bryan Gruley’s signing this Monday night at Anderson’s Bookshop in Naperville. Click on the Author Signing Logo to go to more information about Kent’s signing at Century and Sleuths in Forest Park on Tuesday, October 2, 2012 at 7:00 p.m.! Click on the Author Signing Logo to go to more information about Bryan’s signing at Anderson’s Bookshop in Naperville on Monday, June 25th at 7:00 p.m.! William Kent Krueger is Calling in Tonight! 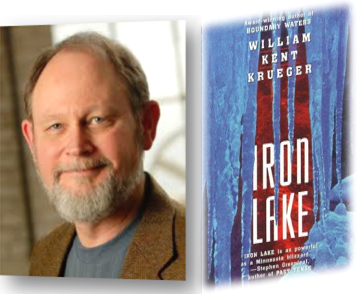 That’s right — the author of our mystery discussion book, Iron Lake, is calling to join the discussion and answer member questions! We will meet in Meeting Room B at the library at 7:00 p.m. to get ready for the call. Kent is calling in at 7:30 p.m. (CST). Below are a couple of items that will be going in his “Author Docket”, but should be helpful now too. Watch here for more to come! Click on Kent’s picture to go to his website! Click on the Fantastic Fiction logo to go to their page on William Kent Krueger that has all of his books in series order! Is Mystery Reading A Guilty Pleasure? This question is raised in the article “Easy Writers: Guilty Pleasures Without Guilt” by Arthur Krystal in the “Critic at Large” section of the New Yorker magazine — and along the way he also mentions authors we may want to consider for our Planning Meeting in August. We may also want to talk about his assessment of literary versus genre fiction…! One of the challenges to keeping the site fresh, is to stay open to moving things around. In this spirit, the Tab -That -Used -to -Be- Known -As: “Mystery Events” is now “Mystery Cons“. It will track the current and upcoming mystery conferences with links to the conference sites and blurbs about each con.